Let’s begin by covering the last “Nugget” quiz which was a five question true/false test about the Rockford High School Athletic Hall of Fame. I want to thank two readers, Carole Holden Christensen and Lee Paull, who responded with their answers. Here is the answer sheet: (1) False – Inductees do not have to be Rockford residents, (2) True – Community members is an area category for membership, (3) False – There have been inductees every year since 1990, (4) False – A coach can be inducted for coaching a sport not sponsored by the M.H.S.A.A. (a water polo coach was inducted) and (5) True – The showcase is located at the high school. Here is a new Matching “Nugget” quiz. Number from one to ten and match the people with the letters on the right. No letter will be used more than once and three letters will not be used at all. Contact me by e-mail (tnjkonkle@hotmail.com) or phone at 616-866-0530. 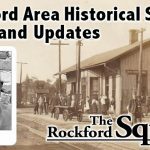 It is necessary to clarify some information that appeared in an advertisement (page 14) in “The Rockford Squire” on October 25, 2018. 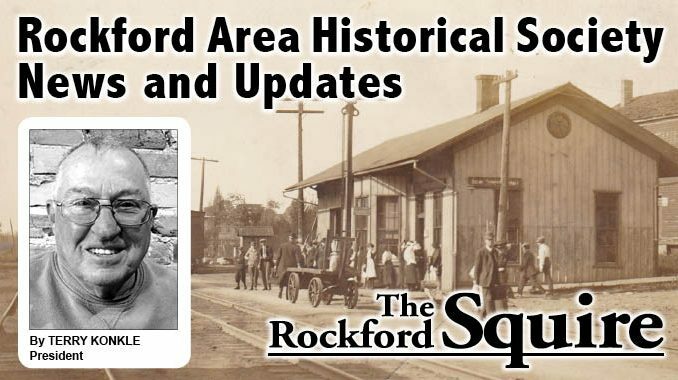 A thank you insert placed for “Make It and Take It” scarecrows listed the Rockford Area Historical Society (RAHS) as a financial contributor. Actually, members of the RAHS gave money individually to the fine cause. Because the RAHS is a non profit organization which accepts donations, we are very careful to use what people and organizations give us for society projects. We support the scarecrow project in many ways, but not financially. With election day coming on November 6, 2018, hopefully all readers and others will be sure to take part. As most know, there are two Rockford City Council positions to be filled. Several have asked me for my opinions on the five candidates that are running, and I have told them my feelings. To those who haven’t asked and are wondering about how to vote, I simply say “Do your research and select two that are running because they want to do what is best for our whole town and its future”. In closing, please feel free to contact me with questions, comments, suggestions, historical information and especially corrections. Have a great, positive week!